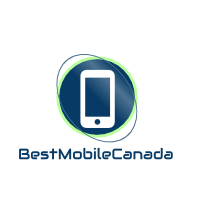 What to say about BestMobileCanada? We believe that the modern smartphone is the most important communication tool since the printing press. Despite being lighter than a roll of quarters and occupying less space than a paperback book, smartphones are able to connect us to the things we care about most. We think you should spend more time actually using them and less time resenting how much they cost you. We were founded to make premium devices accessible to more people. It’s no secret that refurbished product is a more affordable alternative to buying new. By enabling the reburbished market, we bring down the cost of ownership for everyone. We are obsessive about quality. That’s why we put our hands on every device that comes through our doors. Before being listed for sale in our inventory, each phone must pass two independent 30-point quality inspections by two experts. Along with tools to check internal components, manual tests are done to mirror real world use. Only phones that work like new are listed for sale in our inventory. Customers satisfaction is our day to day objective and this is why all customer feedback are available on our website (read all comments). Even the most casual phone user needs a reliable, high quality device. That’s why we offer a comprehensive 30-day warranty on every phone, with the option to extend to 1 full year (read all about our warranty coverage). And while some companies (ahem, Apple) make you pay extra for customer support, we offer unlimited access to our team of mobile experts so you can get the most out of your phone.